File Manager is a tool available at most hosting platforms. 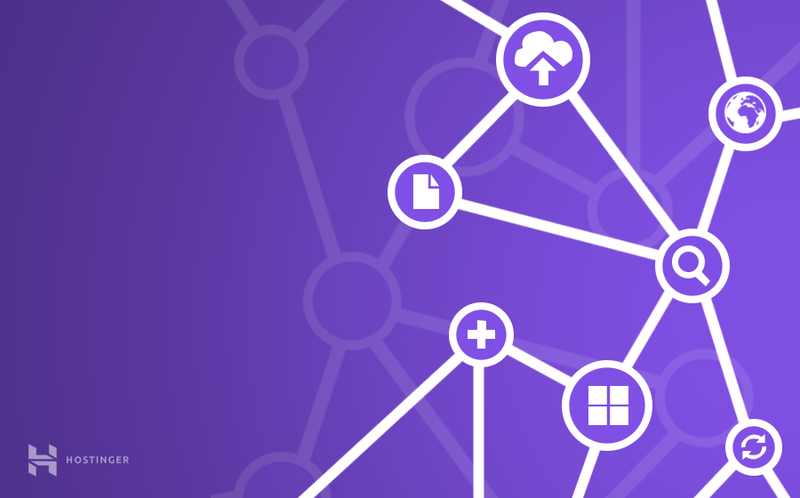 It allows managing your site’s content through HTTP, rather than FTP clients, SSH, or 3rd party applications. Uploading, editing, creating, deleting files and directories, changing file permissions, extracting archives are some of the few things that you’ll be able to do using Hostinger’s File Manager. While the functionality and limitations are not as flexible as many FTP tools, File Manager will give all the core functions for efficient website management. 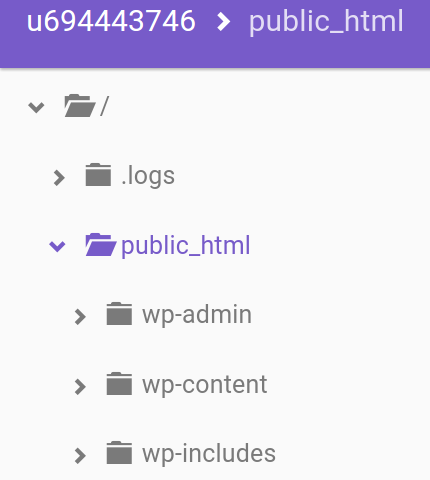 File Manager is located under the Files category in the hosting control panel. Simply click it, and the tool will open in a new browser tab. To better understand how Hostinger’s File Manager works, we will split it into 4 sections and analyze each one in more detail. The navigation menu is at the left-side of the screen. It allows you to see your current location and quickly jump through different directories within your account. In addition, the highlighted folder shows your current working directory. In this case, it is public_html. At the top-right corner, you will see a variety of bar buttons. 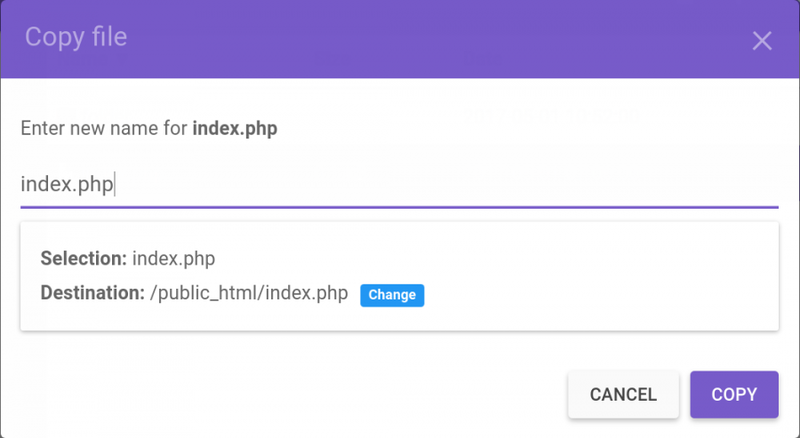 New File allows you to create a file in the directory you’re browsing at the moment. 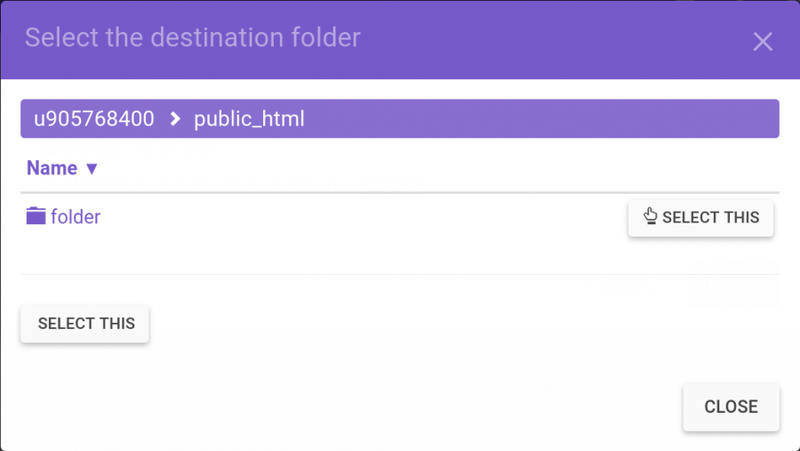 New Folder lets you create a new directory. Click on Search button if you’d like to find particular file or folder. Click on Upload Files. You will get a pop-up window which will let you select what should be uploaded to your storage. If you want to refresh the directory you’re looking at – click on Reload File List. Icons and List change the way you see the files. Click on the Language icon to translate File Manager to your local language. Click Log Out when you’re finished. The file management area presents a list of files and folders within your working directory. 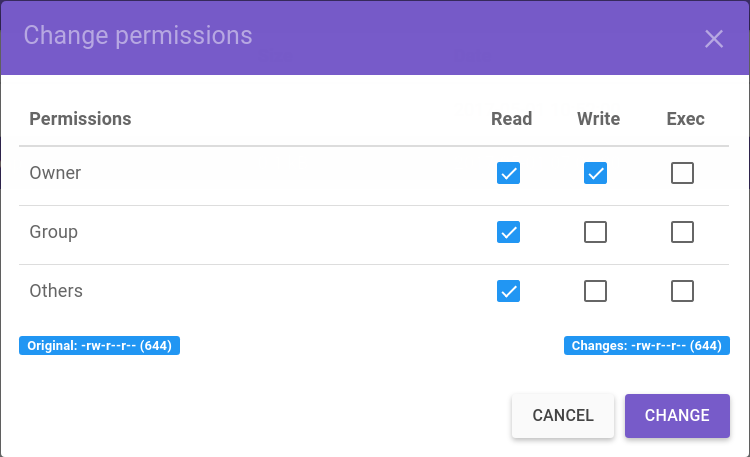 It will also display the size, creation date, and permissions. The context or right mouse click menu will open up for the file or directory when the right mouse button is clicked on it. Download – simply downloads the selected file. 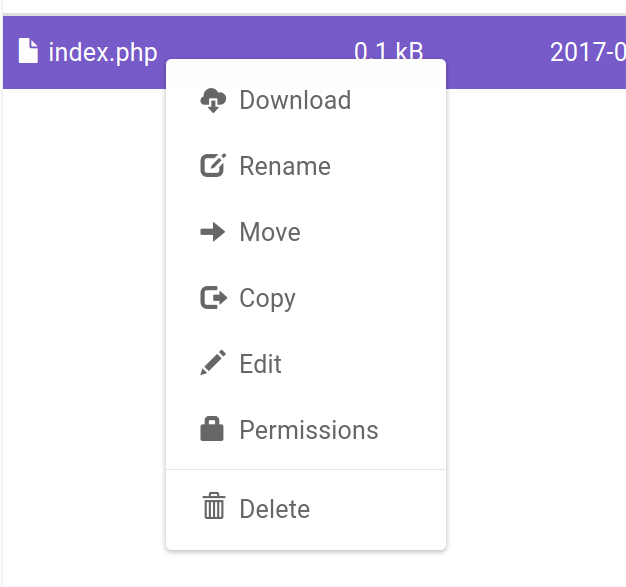 Rename – lets you choose the new file name. You can Edit file inside the File Manager. Only text files are editable so you won’t see this option in a context menu for videos, pictures, etc. Delete will erase the selected file: Be careful as the file cannot be recovered after this step. In this short tutorial, we have learned the functions and features of Hostinger’s File Manager. It is a convenient and efficient tool that can find a place in every website enthusiast’s heart. If you have any tips or tricks that you wish to share, feel free to do so in the comments. where is the settings option in file manager? I want to use .htaccess which is hidden and can access by unhiding it from settings.